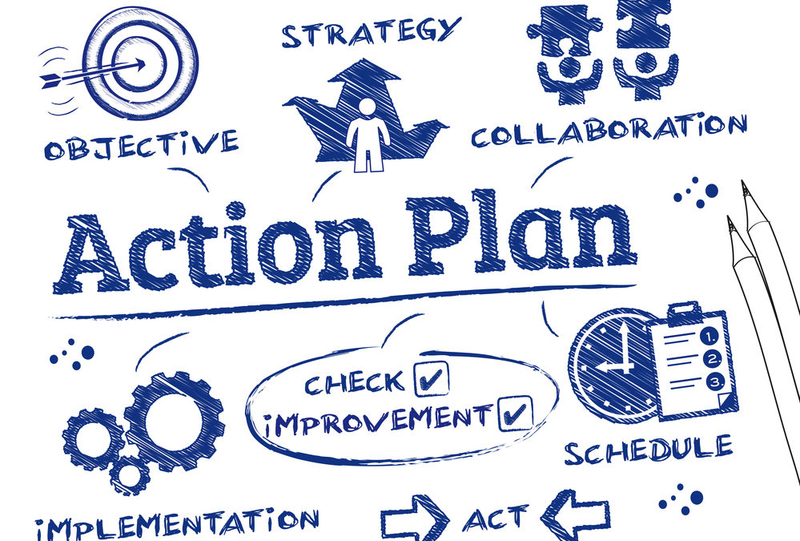 Strategic plans can be effective tools for charting the course of a school’s future, for getting key stakeholders on the same page, and for appropriately allocating time, energy and resources for the purpose of helping the school do a better job of living its mission. But despite these potential benefits, I freely confess that I often cringe when I hear a head of school talk about beginning the strategic planning process. Too often the results fall far short of the dreams. Why does strategic planning fail for independent schools? Below are my top six reasons. 1. There is no vision. Formulating strategy is about creating a roadmap, but the roadmap has to lead somewhere. The absence of a vision means that many strategic plans are generic, bland copies of what other schools are doing and devoid of any deep thinking about the school’s mission, the opportunities in the market, and the school’s capabilities. Creating a vision, one that inspires stakeholders, is hard work. Its absence in most independent schools is the most glaring deficiency in independent school leadership. And when vision is present, it is often the result of superficial thinking, mindless adoption of the work of other schools, and a failure to think creatively about how to integrate the mission of the school with the realities of the marketplace. 2. Solving problems becomes a substitute for creating a future. This deficiency is a logical outcome of the absence of vision. When there is no North Star, the easy default is to solve perceived problems, starting with the ones seen as the biggest. How many times in the past few years have I read a strategic plan that has a major goal of financial sustainability? Far too many! Please, heads and trustees, do not make financial sustainability a strategic goal. It inspires no one! Do you think that parents want to hear that the school’s leadership is focused on alternative revenue? Financial sustainability is the result of achieving something great in the marketplace, something of real value. It should be the consequence of realizing a great vision. It is not a strategy! 4. Many strategic plans fail to account for the school’s capacity to execute the plan. Rob Evans made this point in his magnificent article, “The Case against Strategic Planning.” Establishing strategic goals in the absence of critical thinking about the school’s capacity to execute these goals seems like a fool’s errand. Schools set themselves up for disappointment and cynicism because they refuse to think about available money, high-quality personnel, institutional strengths, and positive school culture as essential elements in achieving the strategic goals. Nor do heads see execution as a process that should create expanded capabilities that allow for further school improvement. Sequencing is critical. Executing strategy (what and when) has to create a virtuous cycle, which means a desired result and greater capacity for executing more initiatives. 5. Too many strategic plans fail to factor in the realities of the marketplace. Please, don’t get me wrong- ultimately the purpose of a strategic plan is to help the school do a better job of living its mission. But with forty percent of independent schools losing enrollment over the last ten years, it is imperative that heads and trustees create plans that will also help them win in the market. Choosing between mission and market is not an option! The realization of the vision as outlined in the strategy should strengthen the school’s position in the market as well as serve the mission. But make no mistake- the “either-or” forces can be formidable. Veteran and powerful teachers, long-serving board members, a strong alumni body, a stagnant culture- these are all components that make it easy to disdain the realities of the market and preserve institutional insularity. 6. Heads are not trained to be good strategic thinkers. At a time of declining enrollment and softening demand, it is easy to blame trustees for the failure of strategic initiatives. But more significantly, heads are poorly prepared to lead a strategic planning process because they have little or no training in strategic thinking. Rarely are first-time heads taught how to objectively dissect their respective schools, gain insights into the nature of the market, and understand the school’s assets and limitations in executing a plan. The key elements of a strategic plan represent a system: vision, target audience, strategy, institutional capabilities and structures (Roger Martin, Playing to Win). As Martin demonstrates, each element is connected to the other four elements. For example, in creating a vision, the head has to think about the school’s capabilities to achieve that vision. There is no way that trustees have the time or in many cases, the expertise to do this kind of deep analysis. So what’s the remedy for poor strategic planning in independent schools? The best answer is for a new head to find a mentor who understands strategic thinking, understands market considerations, and can help the new head formulate questions that lead to deep insights about what the school is now, what the school can be, and how to get there. Deep learning takes place as heads are facing authentic challenges in realtime and working to positively shape the school’s future. Too many new heads are coming up with solutions before they figure out what the problems are. A strong mentor can mitigate this tendency. Another great starting point is reading Stephanie Rogen’s Creating Schools that Thrive. Stephanie details a structure that leads new heads to gain insights into their respective schools, tapping into the collective imagination of a school community. It is the best book on independent school strategic thinking and a must-read.